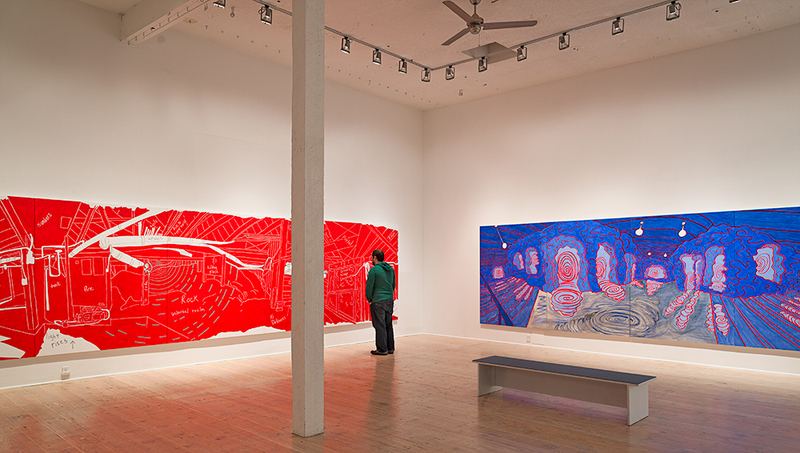 Wow, it’s been a busy month for Fine Arts in the news. Not only did we already run this media roundup earlier in November, as well as a post about the fantastic reviews the latest Phoenix show has been getting, but there’s also been a flurry of new media activity well worth blogging about. First up is the big news that Visual Arts alumna Erin Shirreff has won the Art Gallery of Ontario’s prestigious $50,000 Aimia Photography Prize (formerly known as the Grange Prize). According to the AGO, more than 25,000 public votes—a record number―were cast during the contest’s 10-week voting period. In addition to the cash prize, Shirreff will receive a six-to-eight week fully funded residency across Canada, to commence in early 2014. 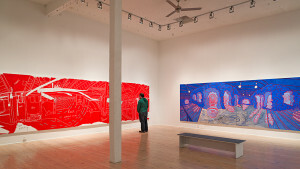 Recent solo exhibitions include Vancouver’s Contemporary Art Gallery, London’s White Cube; and Kingston’s Agnes Etherington Art Centre. Shirreff’s work is also in the permanent collections at New York’s Guggenheim Museum and the Metropolitan Museum of Art, Houston’s Museum of Fine Arts, among others. Runners-up in this year’s Aimio Prize included Mexico’s Edgardo Aragón, America’s LaToya Ruby Frazier and Japan’s Chino Otsuka. 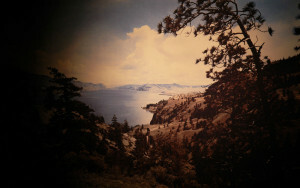 The Meigs exhibit was also featured in this article in the UVic community newspaper, The Ring. 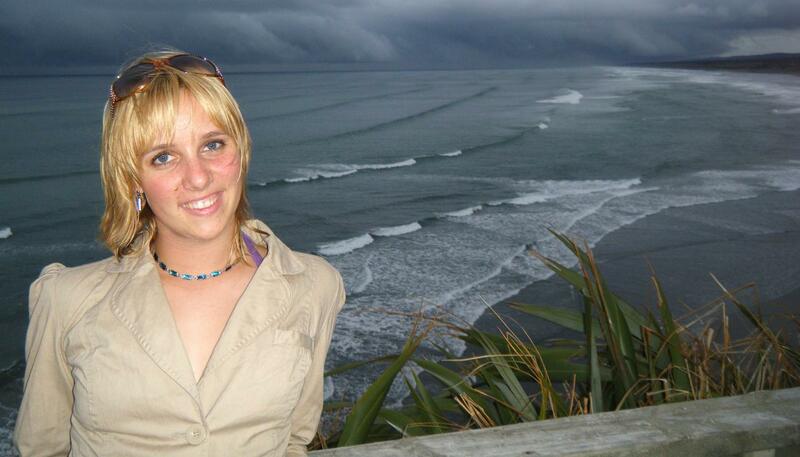 Visual Arts graduate Kelly Dunning has earned praise as one of “21 Location-Independent Women” by Worldette.com for her work as a travel writer with her own blog, Global Goose. Dunning, who graduated with a BFA in 2008, focused on visual arts, art history and art education while at UVic, and is typical of many of our graduates who combine their academic training with their own creative passions to carve out a place in life. It’s been a busy couple of weeks for Writing professor and filmmaker Maureen Bradley. Not only did she speak about cinematic representations of transgender people ahead of the screening of the Israeli film Melting Away for the Transgender Day of Remembrance at UVic’s Cinecenta (presented by UVic’s own Transgender Archives), but she was also profiled in the local Times Colonist about her own upcoming bittersweet romantic-comedy Two 4 One. Describing the rom-com as being “in the tradition of Woody Allen and Billy Wilder, but with a modern twist” in this article, Bradley explained the story focuses on “two oddballs” . . . who both wind up pregnant. 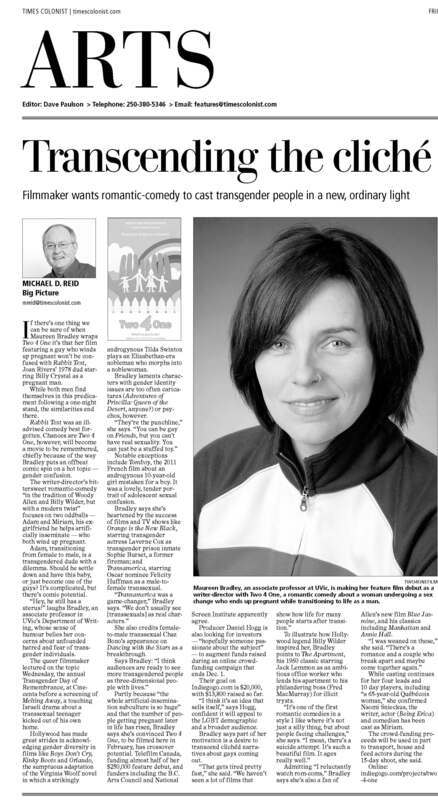 “I think audiences are ready to see more transgendered people as three-dimensional people with lives,” she says. 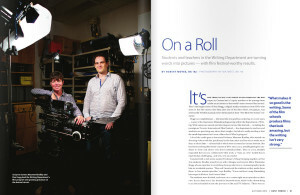 But Bradley isn’t the only filmmaker in the Writing department to attract some attention. Fine Arts digital media staffer and Writing alum Dan Hogg‘s film Floodplain (produced with support from National Screen Institute and BravoFACT) won Best Cinematography and Best Use of Location at the recent Vancouver Short film Festival. Floodplain was also directed by Writing alum Jeremy Lutter and based on a short story by fellow alum D.W. Wilson—we’ve been following the development and success of the film on this blog for some time now, and you can find out more about it on this post. And the short film ‘Til Death—directed by current Writing graduate student Connor Gaston—won Best Student Film and Best Screenplay for alumni Ryan Bright at the same Vancouver Short film Festival. ‘Til Death will also screen at the Whistler Film Festival from December 4 to 8. The insider word is that the WFF has grown in prominence and is now seen as the key industry festival on the Canadian landscape—which is good for Bright, Gaston and assistant producer and UVic alum Amanda Merritt, will be attending the Whistler screening. ‘Til Death was produced as the 2013 Writing 420 project and was created by over 20 students from Writing, Theatre and Music—that’s the same course that created the award-winning Freshman’s Wharf web series back in 2009, as well as three other films now. (Class mentor Bradley describes it as “a fantastic, chaotic and inspiring experience.”) Be sure to check out this making-of video, created through a directed study with current student Lachlan Ross. Gaston also launched a successful Indiegogo campaign to raise $2,500 to finish the film after the class ended. Finally, Bradley and Hogg were both profiled, alongside Gaston, for their work with Writing 420 in UVic’s alumni Torch magazine. Click here to read the article, and flip ahead to page 32. 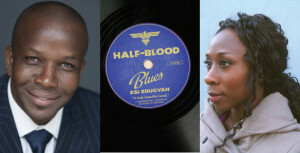 More Writing news for both current students and alumni: Fourth year student Benjamin Willems was recently named a winner of EVENT magazine‘s annual creative non-fiction contest; big-deal alumna Esi Edugyan‘s Giller Prize-winning novel Half-Blood Blues is one of CBC’s 2014 Canada Reads contenders—championed by no less than stellar runner Donovan Bailey; and alumnus Arno Kopecky recently appeared on CBC Radio’s The Sunday Edition talking about his new book Oil Man and the Sea, which tracks his journey sailing the same routes as the tankers will take if the Northern Gateway pipeline goes ahead. Click here to listen and scan ahead to timecode 01:29:58. And the fall launch of the Writing department spawned Concrete Garden magazine and the annual Writing faculty reading night were both featured in this September 26 segment from the CFUV radio show, U in the Ring. 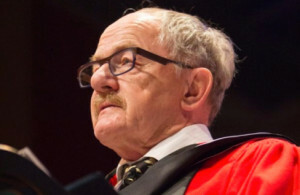 Former Writing professor Patrick Lane was given an Honourary Doctor of Letters by UVic at November’s convocation, and his convocation speech “An Open Letter to All the Wild Creatures of the Earth” was such a hit that the Times Colonist printed it here—and it became a viral sensation! You can also listen to it as a iTunes U podcast here. And the Lorna Crozier Literary Celebration earned some good media attention, with Amanda Farrell-Low of CBC Radio’s All Points West focusing her new column “Creative Class” on the event which you can hear by clicking here, and the Times Colonist running this short piece on it. 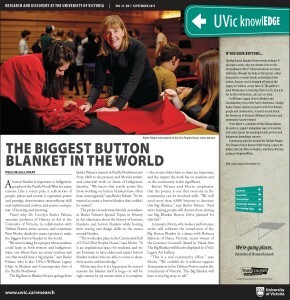 UVic’s community newspaper The Ring also featured this article on the event as well. 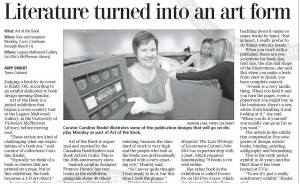 UVic’s Legacy Art Galleries earned some attention from the Times Colonist in this article about their current Art of the Book exhibit in the McPherson Library’s Maltwood Gallery. “These artists are kind of challenging what our expectations of a book are,” says Legacy curator of collections Caroline Riedel. (Take that, Kindle!) 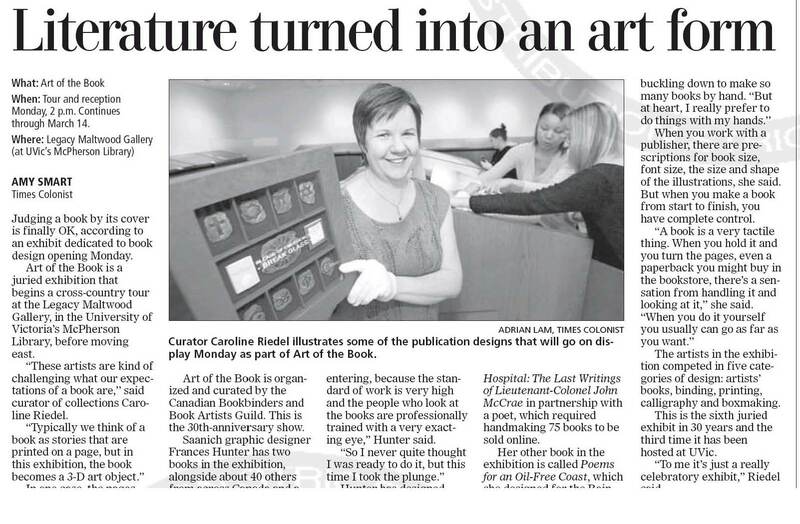 Organized by the Canadian Bookbinders and Book Artists Guild, this will be the third time the exhibit will be hosted at UVic. The exhibit runs through to March 14. History in Art professor Carolyn Butler-Palmer and her work with the Big Button Blanket project was recently profiled in the Times Colonist in this UVic knowlEDGE piece. Butler-Palmer and her students have been busy creating the world’s biggest button blanket this semester, which will debut in January 2014 as part of a featured exhibit at UVic’s Legacy Galleries Downtown. The blanket will also receive its inaugural dance by no less than Governor General’s Award winning aboriginal artist Rebecca Belmore, who was a past Audain Professor for the Department of Visual Art. History in Art alumna Lindsay Anderson is also featured in the most recent issue of the Torch, for her work as both a busy food writer and the official food blogger for the City of Richmond. Click here to read the article, and flip ahead to page 34. School of Music professors and instructors Anne Grimm, Alexander Dunn, Michelle Mares and the Lafayette String Quartet were all mentioned in this recent Times Colonist column by classical musical writer Kevin Bazzana about their collective A Britten Celebration concert. Music instructor Michelle Mares got her own feature article in the Times Colonist for her recent concert performing the complete sets of Chopin Etudes (Op.10 and Op. 25). The TC piece focused on how a broken wrist nearly sidelined Mares’ performance career, and how the Chopin Etudes pushed her to overcome her injury. Finally, brassy Music prof Eugene Dowling attracted a good deal of attention with the 35th anniversary of Tuba Christmas in Victoria—due in no small part to the declaration of Tube Christmas Day by Victoria’s mayor. In addition to this Victoria News article (“It’s been a marvellous 35 years . . . They say it’s not Christmas until you’ve had Tuba Christmas”), Dowling also spoke to the Times Colonist in this piece, which noted that he’s the School of Music’s “most senior faculty member,” having been at UVic for 37 years now. Dowling was also mentioned, alongside fellow School of Music instructor Scott MacInnes, as part of the Pinnacle Brass Quintet in this separate Times Colonist article. 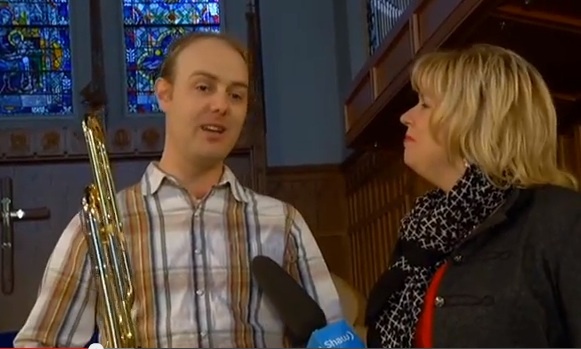 The Pinnacle Brass were also featured in a 10-minute segment on Shaw TV’s Go Island show, which you can watch here, in advance of their Christmas concerts on December 14 (Sidney’s Charlie White Theatre) and 20 (Victoria’s St. John the Divine). Full concert details can be found on their website.